Catherine Jones, who interned in 2018 with U.S. Rep. Don Bacon (R-Neb. ), guides a tour for fellow interns participating in the Washington D.C. Professional Enrichment Academy, from left: Jackson Grasz, Halle Ramsey, Abby Durheim and Aaron Hegarty. Jones is an agricultural and environmental sciences communication major from Bellevue, Grasz is a management major from Elkhorn, Ramsey is a agricultural and environmental sciences communication major from Ord, Durheim is an agricultural and agricultural sciences communication major from Fredericksburg, Va., and Hegarty is a journalism major from Fremont. Nebraska students weighing the possibility of a Washington D.C. internship in summer 2019 should know they won’t have to go it alone. The Washington D.C. Professional Enrichment Academy, launched in summer 2018 by the University of Nebraska system, helps Nebraska interns find one another in the nation’s capital. It provides weekly educational and social opportunities and helps interns link with Husker alumni who are working in D.C.
Planning is under way for the 2019 program, which is offered at no cost to interns. Students planning D.C. internships in 2019 should submit applications by Feb. 1. Information sessions about the program are planned for October, November and January. The academy can provide assistance in finding housing through the Washington Interns Student Housing program. Students who participated in the eight-week program in 2018 said it made their internships more valuable by giving them a base of support, helping them meet people and helping them learn more about what the city has to offer. Hegarty, who graduated from Fremont High School, plans to complete his journalism degree in May 2019. Though one of the biggest events, held at Gallup headquarters in D.C., featured members of the news media, Hegarty said he also made valuable contacts outside journalism. Matt Hammons, Assistant Vice President for University Affairs and Director of Federal Relations for the university system, spearheaded the development of the program. Joe Hayes, a former D.C. intern who now works as assistant director of employer relations and internships at the University of Nebraska at Omaha, spent eight weeks in Washington to serve as program coordinator, overseeing weekly professional development classes and serving as first point of contact for the 15 Nebraska students, including 11 from the University of Nebraska–Lincoln, who participated in the program. The weekly seminars introduced students to living and working in Washington; career and leadership preparation, policymaking in Congress, the White House and the courts; the news media’s role in the American democracy; and policy advocacy for higher education. They included alumni networking opportunities — drawing upon Washington-based alumni to share their experiences. The program also featured optional weekend outings, such as attending a Washington Nationals baseball game or a trip to the National Archives or the Holocaust Museum. 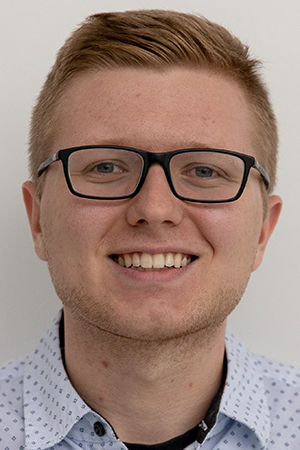 “That was a huge part of it — being able to have our events on Wednesdays and Saturdays, knowing I was going with somebody from Nebraska, from the university, from a similar age group taking similar challenges,” said Jack Arens, a sophomore computer engineering major from Ainsworth, Nebraska. 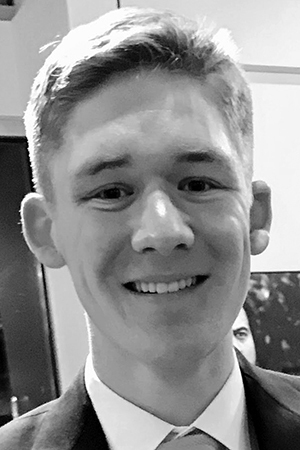 Arens’ summer internship at Northrup Grumman, a defense technology contractor headquartered in northern Virginia, was the longest time he’s spent away from his family and Nebraska. He made the connections to land the internship while attending a three-week science camp in West Virginia in 2017, but his parents questioned whether he wanted to tackle Washington in the summer after his college freshman year. Family friends in the D.C. area rented him an apartment, but there was still a lot to learn about living in Washington. It helped to meet other Nebraska interns going through the same things. “I wasn’t sure D.C. was possible — and it certainly wasn’t easy, but I ended up figuring it out and I’m glad I did,” Arens said. Hayes said there’s a significant untapped network of former Nebraskans in the D.C. area that holds great potential for both students and alumni.